Wild Alaskan Seafood is a privately-owned seafood processing company headquartered in Oregon, USA. Wild Alaskan Seafood, or Alaskan Harvest, was established more than 22 years ago, making it among the oldest seafood processing companies in the United States. Since its inception, the company has gained a large customer base that patronizes its different seafood products. Alaskan Harvest, or Wild Alaskan Seafood, is primarily engaged in seafood processing as the founder believed that a diet of seafood can bring a lot of health benefits, aside from the fact that seafood is also one of the most in-demand products in the food industry. All seafood contains a large amount of various vitamins and minerals, which can help the body become healthier. For instance, the King Salmon fish contains a high amount of Omega-3 fatty acid, as does black cod. Wild Alaskan Seafood has always been committed to providing its customers with the highest quality and best-tasting seafood available. The company also offers one of the best prices when it comes to seafood. Wild Alaskan Seafood is so confident of its product that it even assures customers that they can re-ship/return the products if they do not find it to their liking. That assurance is also part of the company’s customer service, to ensure that customers are satisfied with both product and service. The company will also offer reduced rates for some of its products which vary from season to season. The company informs its loyal customers of their specials via e-mail, through which customers also get regular company updates. Customers can also call or e-mail the company if they want to know more about the company’s products and specials. Because Wild Alaskan Seafood has a wide variety of seafood products, the company has divided its products into different categories. Some categories include Alaskan crab, shrimp & scallops, whitefish, tuna & swordfish, prepared seafood and smoked salmon. The company also processes other products like beef tenderloin, accessories and desserts. 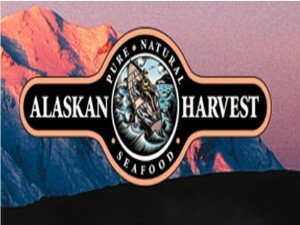 The company distributes and retails these products under the label Alaskan Harvest.